JINJA – Residents of Jinja Municipality have given government up to Thursday this week to release their Member of Parliament Paul Mwiru or they stage a mass protest. Mwiru is among the MPs and 30 other people who were last week charged with treason by Gulu Magistrate’s Court and remanded to Gulu Central Prison for allegedly stoning the Presidential convoy during the Arua Municipality election campaigns. And on Saturday, residents of Jinja East Constituency said the detention of the legislators is against the law. “We want Paul Mwiru in Parliament to represent his people. Now it is one week he is not in the plenary to discuss the problems his people in the constituency face,” said Mr Alex Mufubiro, the Democratic Party (DP) publicity secretary in the district, at a press conference in Jinja Town on Saturday. He was franked by the district DP chairman, Mr Ramandan Bazanya, and other opposition leaders in the district. Mr Bazanya revealed that they will mobilise the entire Busoga region to demonstrate until Mr Mwiru and his colleagues are released. Mr Mufubiro said they are ready to lose lives until the MPs are released. 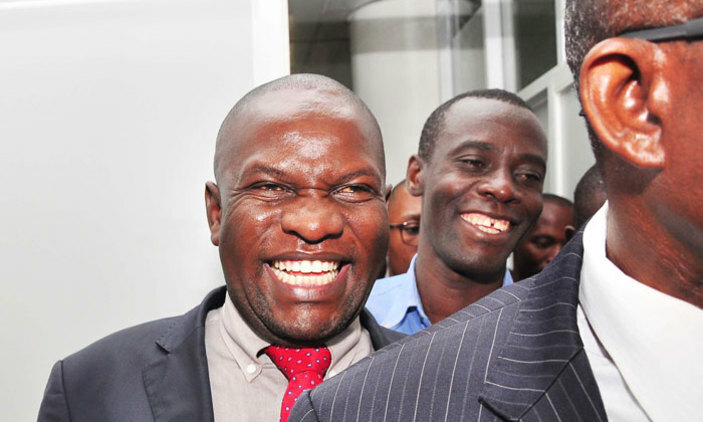 The MPs who were charged before Gulu Magistrates’ Court are Francis Zaake (Mityana Municipality), Gerald Karuhanga (Ntungamo Municipality), Paul Mwiru (Jinja Municipality) and Arua Municipality MP-elect Kassiano Wadri. The legislators were charged alongside 28 others and were sent on remand at Gulu Central Prison, a detention facility which is about 350km north of Kampala city, where the lawmakers transact their legislative business. Several city residents were on Friday arrested by police as protests over the detention and torture of Kyadondo East MP, Robert Kyagulanyi alias Bobi Wine broke out again in Kamwokya, where Bobi Wine has a studio, and in his residential area in Magere, Gayaza, Wakiso District.